Happy Monday! Today I am excited to share one of my latest favorite breakfasts. I’m still having some problems keeping meat/proteins down so I am having to find other ways to keep it down….and so far, this smoothie is the key! It’s a good mix of fruit, greens and protein. But the good thing is– you don’t taste the kale! I’ve always been a spinach-in-your-smoothie kind of girl…until Aldi didn’t have spinach. Multiple weeks in a row. Hmph. So, I broke down and got the kale and am SO glad I did! Mix all the ingredients together until desired consistency Add more water/juice if desired. This makes enough for two, or two meals. Yum! Enjoy! What’s your favorite breakfast? Did you struggle with morning sickness throughout your pregnancy? Tasty way to keep yourself fit and fine! I’m glad you posted this. I have tried kale in fruit smoothies before, but must not have had my proportions right, because I could definitely still taste the kale (I’m a spinach girl too). Yes ma’am! Hope you like it!! 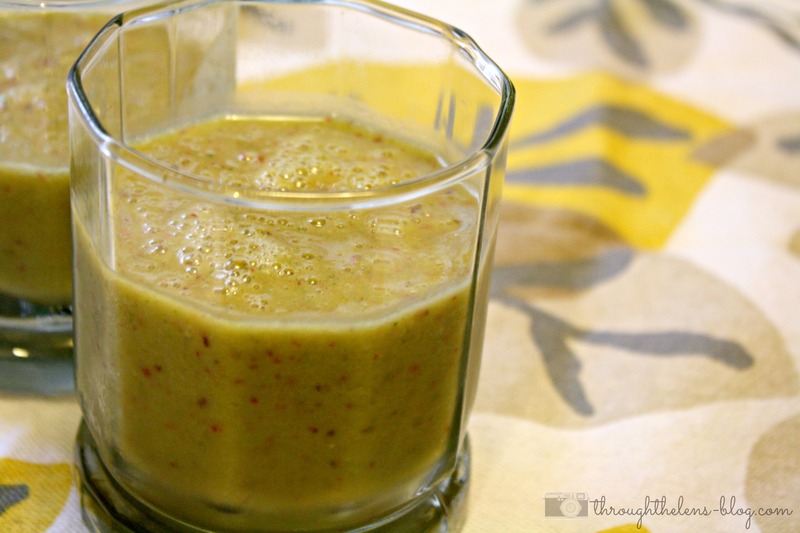 I love smoothies for breakfasts- I feel like it starts me out on the right foot for the day! Thanks for sharing this yummy recipe. 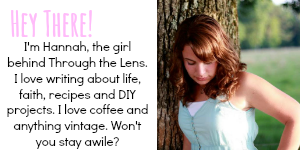 I’d love for you to share a post at my link up tomorrow, if you’re interested! I am all about smoothies lately, and I will add this one to my ideas to make. Sounds delicious! I’ve been looking for recipes to use YL Balance Complete. So glad I stumbled onto your blog! Sounds good! That’s almost how we make our morning smoothies. We use pomegranate juice, fresh ginger root and whey protein powder in addition to the kale & fruit. Looks sooo good! I always go through smoothie times where I am obsessed! Then forget to make one for 5 months oops. Hahah I’ll have to test this one out. I love smoothies for breakfast. I’m not one for a big breakfast. I know that’s not good, but when I eat a big breakfast (even if it’s healhty) I feel really weighed down. This sounds like a good one to try! Hope your morning sickness starts to ease up! Yum. Me and the kids drink a green smoothie everyday to get our veggies in 🙂 It so much nicer then fighting with them to eat their veggies. Now they are drinking them lol. 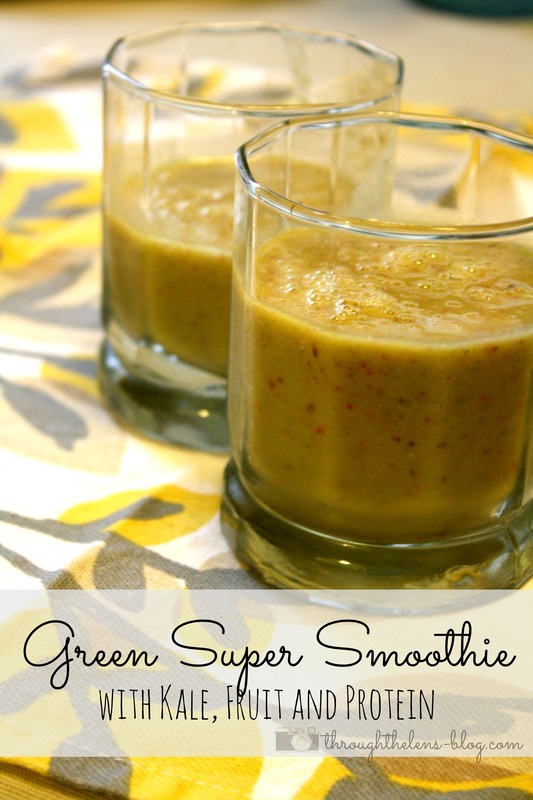 I love smoothies, just not a fan of kale, however I think I might make this with spinach instead! Thanks! Ice cold Lemon water has been helping me a lot! And I just learned it is super good for your liver. I love it when I find out things like that. 🙂 Yesterday I tried using my lemon oil instead of just lemon juice, it was pretty good, but I didn’t like the film on top of my water…do you have any tips on how to avoid that? This looks and sounds delicious! I love a good smoothie for breakfast and/or dessert! 🙂 Thank you for sharing with us at Delicious Dish Tuesday!